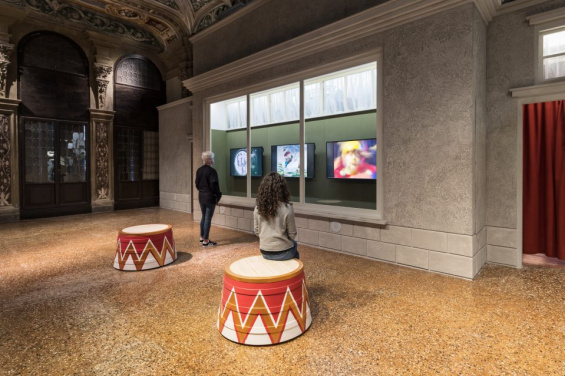 Join Natalie Bell, Assistant Curator, in Venice and Lauren Cornell, Curator and Associate Director, Technology Initiatives, in Germany for the rare occasion when the Venice Biennale, documenta, and Sculpture Projects Münster fall on the same year. Our group will enjoy private, behind-the-scenes access to all exhibitions, engage with featured artists and curators, and visit the best local sights with our guide, art historian Alard von Rohr-Demmin, all while enjoying the wonderful comradery for which New Museum trips are famous. For more information on how to become eligible for the Producers Council, please contact Brooke Minto at bminto@newmuseum.org.